in a unique spiral form! of how the universe came to be. to Belong, INSIDE this story. 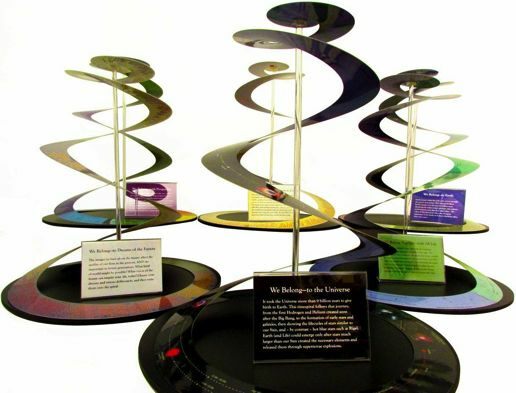 TimeTrace® timespirals enable you to grasp the enormity of the 13.8 billion year story of the universe, allowing you to comprehend the awesome scope of the events and processes necessary for you to be on planet Earth at this time! Karen’s passion is Belonging. 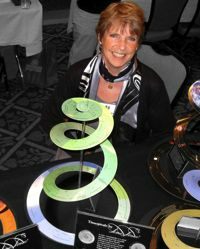 So she creates ways to put us in the CENTER: in the Center of Time with spiral timelines, and in the Center of Place by weaving a Place-Based narrative into her presentations. The Center of Time is NOW and the Center of Place is HERE. Karen’s 20-plus years as policy planner for some of Colorado’s progressive environmental programs honed her abilities to bridge the worlds of science/technology and commissions/legislative committees/the public. She presents western science/cosmology in ways that both western-trained and indigenous people can appreciate. 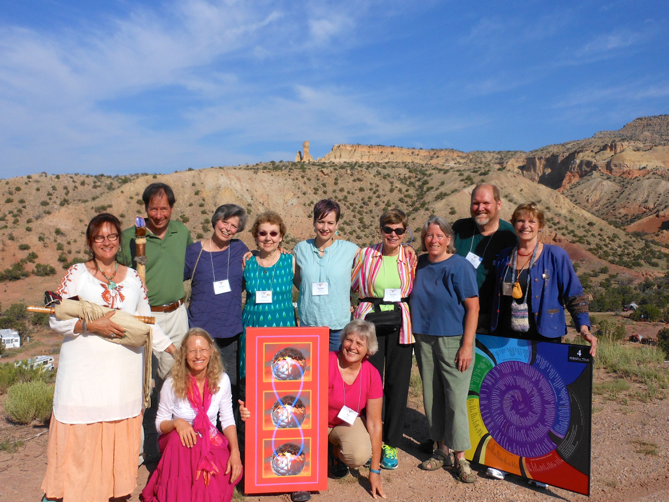 Her artful visuals and creative presentations have been highly regarded by science and history teachers, progressive religious people, leaders in the Deep Time/Big History/Earth Literacy movements and have been introduced in classrooms from upper elementary through college level.